[Proceedings of the conference 1001 Inventions: Muslim Heritage in Our World organised by FSTC, London, 25-26 May 2010]. 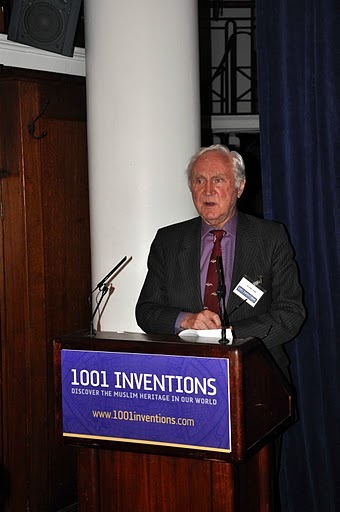 In this concentrated and well written article, Sir Crispin Tickell addresses one of the most urgent and challenging issues of our times, that of environment. Beyond our actual social and economic problems, the biggest crisis that surrounds us regards the condition of the global environment and its future prospects. In the last period, awareness of environmental issues has entered our daily concerns. However, we still need to think about all the implications of this vast issue. Arguing that our environment is at present on the edge, Sir Crispin Tickell outlines what certainly will be our biggest preoccupation in a near future. 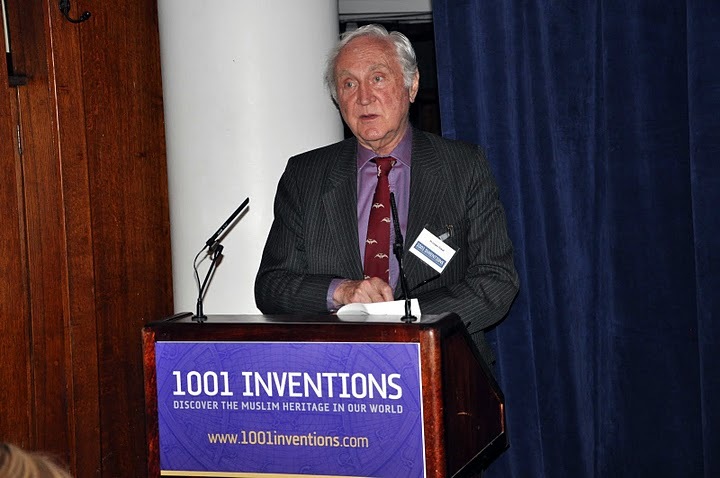 Figure 1-2: Sir Crispin Tickell presenting his lecture in the "1001 Inventions" conference. © FSTC 2010. Recently, we have become better aware of the Islamic role in European scientific and cultural history from the 8th century onwards. For me, a recent book, The House of Wisdom by Jonathan Lyons, was something of a revelation. It may be uncomfortable for many today, but at that time Western Europe was regarded in the Islamic world as a barbaric outlier of civilisation – poor, primitive, corrupt and credulous. The introduction of Islamic ideas and technology, drawing on civilization elsewhere, from Greece to China, was a propeller of the European Renaissance in the 14th and 15th centuries. The current 1001 Inventions exhibition is an eloquent reminder of these realities. We heard all this and more at your reception last night, and I won't attempt to repeat it now. Instead, I want to focus on something just as big and affecting us all directly. At present, we are preoccupied with a global crisis over money and credit, with all its social as well as economic implications. But beyond and behind this is a much bigger crisis over the condition of the global environment and its future prospects. In the last few years or even months, awareness of environmental, or green, issues has entered the world of politics as never before. Our environment is indeed on the edge, but most people have still to recognize it. Before the industrial revolution some 250 years ago, the effects of human activity in all its variations were local, or at most regional, rather than global. Now the impact is indeed global. It falls to our generation to measure the impact on society, and work out what might be done to mitigate or adapt to it. Little is more difficult than learning to think differently, yet it is hard even to define the principal problems without upsetting longstanding traditions, beliefs, attitudes and the often unspoken assumptions on which we build our lives. It took a long time for previous generations to accept the antiquity of the Earth, the mechanisms of evolution, the movement of tectonic plates, the shared genetic inheritance of all living organisms, and the symbiotic -and to some extent self-regulating relationships- between the physical, chemical, biological and human components of the Earth system. The truth is that, in its long history, the Earth has never been in this situation before. In my view, there are six main factors which have driven this transformation. Of these, population issues are often ignored as somehow embarrassing and difficult to discuss; most people are broadly aware of land resource and waste problems, although far from accepting the remedies necessary; water issues, both fresh and salt, have had a lot of publicity, and already affect most people on this planet; climate change with all its implications for atmospheric chemistry is also broadly understood, apart from by those who do not want to understand it; how we generate energy while fossil fuel resources diminish and demand increases is another conundrum, now at last under serious discussion; but so far damage to the diversity of life on which our species critically depends has somehow escaped most public attention. Here we mostly remain ignorant of our own ignorance. Yet in this area human destructiveness has been most evident over the last 10,000 years. Current rates of extinction could in the long run be the most important of all these factors for human welfare. All are interlinked, and all represent pressure on the natural environment. There is now a seventh factor recent in human experience. It arises from the introduction of new technologies. Some technologies have been beneficial, as the current exhibition well illustrates; but others have been much less so. A good example is the introduction of chlorofluorocarbons as a refrigerant. This was shown to damage the ozone layer which protects ecosystems from harmful ultraviolet radiation from the sun. The law of unintended consequences has particular application in the field of technology. In a recent book, the current President of the Royal Society, Lord Rees, explored the dangers arising from human inventiveness, folly, wickedness and sheer inadvertence. He pointed out that the ramifications of much information technology, nano-technology and nuclear experimentation had still to be understood and explored. His conclusion was to give our civilization only a 50% chance of survival beyond the end of this century. What then are we to expect? How are we to recognize that the last 1,500 years, and still more so the last 250 years, have been a bonanza of inventiveness, exploitation and consumption which may not continue? All successful species, whether bivalves, beetles or humans, multiply until they come up against the environmental stops, reach some accommodation with the rest of the environment, and willy nilly restore some balance. In September 2009, the magazine Nature published an article by Johan Rockstrom and others identifying nine scientific boundaries or stops which humans would cross at their peril. Three had already been crossed: climate change; loss of biodiversity; and interference with nitrogen and phosphorus levels. The other six were stratospheric ozone depletion; ocean acidification; use of fresh water; changes in land use; chemical pollution; and atmospheric loading of aerosols. Obviously, we could all have our own lists and calculations of the dangers we face, and I have already suggested some of the factors I think most important. Many attempts have recently been made to look at what we should now do to prevent things from getting worse. But some issues still remain too difficult for people to confront, among them our own proliferation, the widening divisions between rich and poor, the high vulnerability of cities, the risks of war with unimaginably horrible weapons, and the exhaustion of often irreplaceable resources. In looking ahead, it is vital that we should see the connexions between these various problems. In doing so, it may be useful to jump a hundred years, and from this vantage look backwards. I shall assume, I hope correctly, that humans will have faced up to, and coped with, at least some of these problems. People are not stupid. So what will the world look like? First, they are likely to be living in a more globalized world of rapid communication. Ideas, units of information –or memes– will pass almost instantaneously between countries, communities and individuals. The wiring of the planet with fibre optics, cellular wireless, satellites and digital television, is already transforming human relationships. For the first time, there will be something like a single human civilization. More than ever, humans can be regarded like certain species of ants as a super-organism. Human numbers in cities and elsewhere will almost certainly be reduced, but some people will live longer, bringing its own train of problems. Their distribution will be different. It has been suggested that an optimum population of the Earth would be nearer 2.5 billion rather than – as now – almost 7 billion, or even 9 billion later this century. Communities are likely to be more dispersed, without the daily tides of people flowing in and out of cities for work. Agriculture will be more local and specialized, with more reliance on hydroponics. Energy and transport systems will be decentralized. Archaeologists of the future may even wonder what all those roads were for. Then there are developments in information technology. They raise the question of evolution itself. At present, we can alter isolated genes while disregarding the complexity of what genes can do. Last week we heard about the invention of an artificial form of DNA. Already chips are being inserted into humans for a variety of purposes. We can even insert extra chromosomes in the knowledge that they would not be heritable. On the one hand, humans may thereby be liberated from many current drudgeries. Soon houses may be able to clean themselves, robots may produce meals on demand, cars may drive under remote instruction, and evolution of desirable characteristics could even be automated. All this seems unimaginable when so many still have to trudge miles to collect fuel wood and water. On the other hand, humans could well become dangerously vulnerable to technological breakdown, and thereby lose an essential measure of self sufficiency. Already dependence on computers to run our complex systems, and reliance on electronic information transfer, are having worrying effects. Here, industrial countries are far more vulnerable than others. Just look at the effects of single and temporary power cuts. More than ever, individuals feel out of control of even the most elementary aspects of their lives. Let us hope, without total confidence, that by 2100 humans will have worked out and will practice an ethical system in which the natural world has value, not only for human welfare but also for and in itself. The human super-organism must take its place alongside other super-organisms. For the long term, I hesitate to speculate. Tectonic plate movement will shift the relationship between land and sea. Changes in oxygen levels in the atmosphere may sooner or later affect the character of life itself. For example, given the evolutionary significance of our brains and the current hazards of childbirth, we might imagine a sort of human marsupial in which women gave birth earlier in the reproductive process, and developed a kangaroo-type pouch. I sometimes wonder how long it would take for the Earth to recover from the human impact. Future visitors from outer space might well be puzzled by the fossil remains of ourselves and the agglomerations we call cities. They might also wonder at the fossils of other animals and plants we have so abruptly adapted for our own purposes. By then, there could be rats as big as dogs, giant pigeons like ostriches, rampant water hyacinths in every waterway, micro-organisms gone macro and macro-organisms gone micro. But they should know, as should we, that life itself, from the bottom of the seas to the top of the atmosphere, is so robust that the dominance of any one species could be no more than a short episode in the history of life on Earth. Before I conclude, I want to mention a current enterprise which brings out the unique circumstances of today. In geological terms, the Pleistocene epoch of intermittent ice ages was followed some 10,000 years ago by the relatively warm Holocene epoch. Now some geologists have proposed that the Holocene should be followed by an Anthropocene epoch, beginning some 250 years ago to mark the extraordinary changes brought about by one animal species – our own – to the surface of the Earth: its land, sea and air. We live in amazing and most challenging times. If there is such a thing as an Anthropocene epoch, let us make sure that the environment we know is not on any edge of disaster. Indeed, let us enjoy it while we can. Ecology in Muslim Heritage: Treatises on Environmental Pollution up to the End of 13th Cen.